* For the smoker who wants a good-looking, reliable lighter that works every time, you can't get any better than Zippo. * This personalized brushed chrome model is both attractive and sturdy and fits easily into just about any pocket or even a small purse or wristlet. 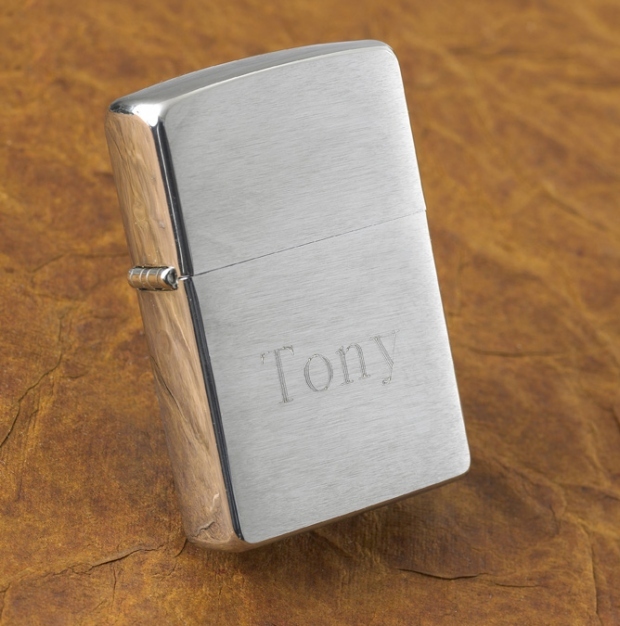 * Engraved with the name or initials of the recipient, this lighter is one he or she will treasure for years to come. * Made in the USA with Zippo's Lifetime Guarantee.